Women's Heels- Keep Both Your Standards and Heels High! A women's closet is never completed without heels as ladies and heels are made for each other. Superwomen chase their dreams in high heels because they have got high standards. If you don't wear good shoes, you remain ugly no matter how much you spend on your clothes. Believe it or not, heels for women aren't just presentable they also make them think better because they feel better by wearing them. Since they are so important, the affordable.pk has the latest collection of ladies heels in Pakistan. There are occasions when you need a pencil and pointed heels, and other times you need comfortable shoes like wedges. 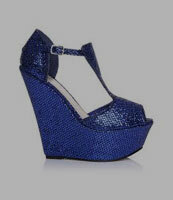 You will find categories for heels on affordable.pk, where you can look for both short and high heel shoes. 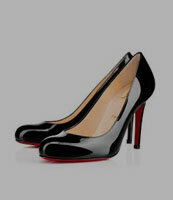 A huge variety of designs and color are present; however, the black heels and the silver heels are the most selling ones. Following are the types of heels you can find on affordable.pk at the most reasonable prices in the country. You can't afford to wear pointed long heels to work every day because they are uncomfortable and can give you hip pain, too. 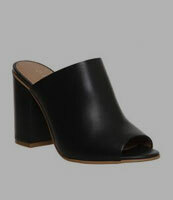 The wedge heels and mules and clogs are easy-to-wear as these shoes have better capabilities of bearing weight. Find the coolest and classiest collection of daily wear heels on affordable.pk. It is the place to visit for any fashion related worries because every item is branded and reasonable. If you need heels for formal wears, you can go for platforms that are located in the separate subcategory. However, you may also visit the other section where pencil and other types of formals are available. The designer made formal heels available on Affordable.pk make you stand out in a crowd. 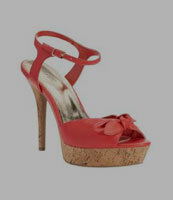 Buying branded heels was never as easy as it is now with Affordable.pk.